I recently had the pleasure of being interviewed for my work in a local high school magazine. They were doing a special issue on Harry Potter related articles and found some of my experiences with Harry Potter themed weddings to be great interest. I am a state licensed officiant, and my title is “officiant” but part of my job is definitely performer. I bring a lot of personality to a wedding ceremony. I specifically work with couples who are looking for a fun and interesting alternative wedding, so Harry Potter weddings are only one variation in a sea of creative variants. While that’s part of my niche, I perform many simple and elegant weddings every year as well. How did you get started doing Harry Potter themed weddings? I’ve been doing weddings in general for something like 8 years, but my first Harry Potter themed wedding was something like 4 years ago. I got started because of my own wedding actually. My wife and I are alternatively-minded individuals and we didn’t want anything to do with a church for our wedding. We wanted to celebrate the strange and wonderful creatures that we are, so I wrote our ceremony and we had a friend perform it. Everyone had a blast and once word got out that I had written the ceremony, I had other people asking me to do their weddings. It snowballed into a career after a few years. I’m either part of or adjacent to most fandoms, so I love to accommodate my couple’s media-based passions by including them in their wedding ceremonies. Do you perform any other “themed” weddings? YES! If it’s something people are enthusiastic about, I’ve probably incorporated it into a wedding. Everything from Star Wars, Anime, and steam punk to OSU football, video games, and medieval reenactment. I’ve been Dr. Suess, Beetlejuice, Gandalf, Batman and a host of other characters in my career.  Lord of the Rings and Game of Thrones are both popular wedding themes along with Harry Potter. Do you people write their vows based on the Harry Potter theme? Vows are one of the more sentimental moments in a wedding, even in a themed wedding, so the answer to your question is not generally. Sometimes references are made, but they are rarely thematic. Did you have a Harry Potter themed wedding? Nope, but we did have a fun and nerdy costume party wedding. I was Braveheart and my wife was Belle. Our vows were a note that said “Do you like me, yes or no? Circle one and give it back” and our unity ceremony was 27 culturally diverse wedding traditions from all over the world performed in under 2 minutes. Our first dance was to Green Day and our cake was the Hylian Shield from the Legend of Zelda series. I’m a storyteller, so my passages come from all over the place; typically the books, poems, and other media which my couples love. However more often than not, Harry Potter themed weddings include quotes from Dumbledore. He is a very insightful character. The most often used is “Happiness can be found even in the darkest of times, if only one remembers to turn on the light” From Prisoner of Azkaban. What is your favorite moment from a Harry Potter themed wedding? My favorite moment was when the two people getting married performed The Unbreakable Vow from Harry Potter and the Half-Blood Prince. I modified the words from the book ever so slightly to be about getting married (instead of murdering Dumbledore) and we used a silver chain with a Deathly Hallows symbol to bind their arms. It was thematic, it was touching, and it was exactly what they wanted. What is the funniest moment you’ve witnessed at a Harry Potter themed wedding? The funniest moment I saw at a Harry Potter themed wedding was one couple who dressed their son (I think he was around 3 years old) as Dobby and he walked down the aisle as their ring elf.